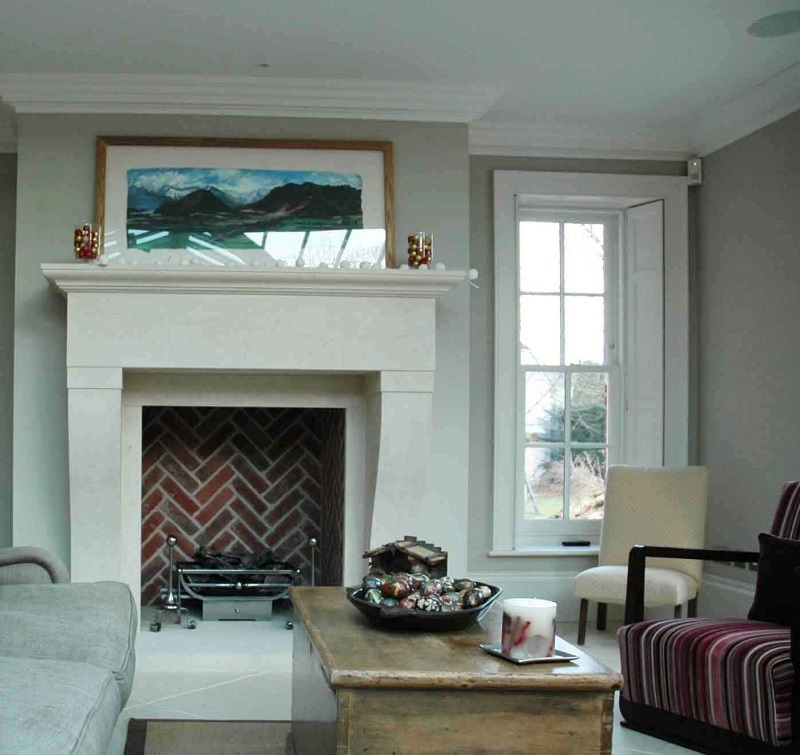 This gorgeous French stone fireplace is our Toulouse shown here in Bath stone and was this years first installation, and what a way to kick the year off! The Toulouse is such a striking design suiting both traditional and modern interior, you really can’t go wrong! The chamber is lined in herringbone red brick and the fire basket is a chesneys Morris fire basket with dogs which we supplied and fitted at the same time as the stone surround. For more information on our Toulouse French style surround please click here.